After Hurricane Maria, the small town of Adjuntas in the mountains of Puerto Rico did not have power for six months. The Casa Pueblo community center there became an energy oasis for the town, since it produced its own solar energy and did not rely on the downed grid. The center re-opened the day after the hurricane hit and moved quickly to provide relief for Adjuntas. 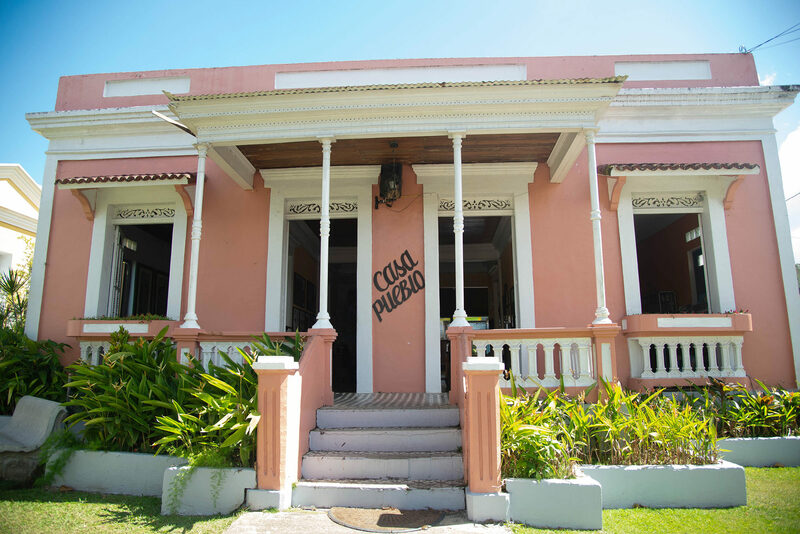 In the entryway of the pink building, Casa Pueblo’s director, Dr. Arturo Massol, spoke passionately about the center’s role in the community during and after the hurricane. “It’s not the individual salvation, it’s not that Casa Pueblo is fine with solar power, it’s that the right of energy is for everyone and we have to help others,” he said. Arturo’s father, Alexis Massol, founded Casa Pueblo 38 years ago as an environmental conservation organization. One of his first initiatives was fighting an open pit mining project. Casa Pueblo won that early battle, and the scarred land has been rehabilitated into a protected forest managed by the community center. After years of successful environmental battles Alexis said he wanted to see Casa Pueblo evolve from proposing government solutions to taking action on its own. In order to balance his environmental goals with economic development, Arturo realized Casa Pueblo needed to move away from fossil fuels. He started with four 100-watt solar panels, and the center has been exclusively solar-powered since 1991. The array now produces 10 kilowatts per unit each day — enough to power the center’s radio station, solar cinema, and the school of music next door. With solar energy, Casa Pueblo is 100% independent from the island’s electrical grid. The center even exceeds its own energy needs, so it can sell excess to the government. Arturo proudly displayed Casa Pueblo’s most recent power bill on his smartphone screen, showing that the center paid only $10 in registration fees and produced $400 worth of excess energy. 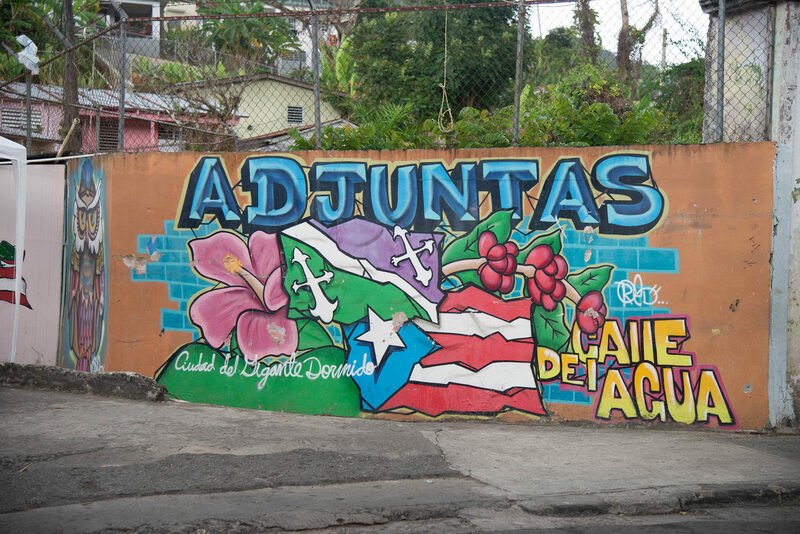 In the aftermath of Hurricane Maria, non-governmental organizations from abroad and the mainland US asked Casa Pueblo what was needed for the people in Adjuntas. Arturo asked for solar lamps first. Fourteen thousand solar lamps arrived, and in a town of 19,000 people, 85% of Adjuntas was able to receive solar energy. Alexis Massol recalled his amusement seeing lights moving from window to window in his neighbors’ homes as they carried the solar lamps with them to the kitchen and bathroom. The solar lamps were also a strategy to teach people how solar power works. Adjuntas residents learned that they needed to put the solar lamp outside, and the sun would recharge the energy storage system so they could use the energy later at night. There was no need for cables or transmission lines. The whole energy equation was there. While describing the solar lamps his team had designed, Alexis Massol, who is also Casa Pueblo’s head engineer, suddenly bolted from his office to retrieve a lamp. He proudly demonstrated how it screwed into its base to turn on without a power switch or outlet. Casa Pueblo did not stop at solar lamps. 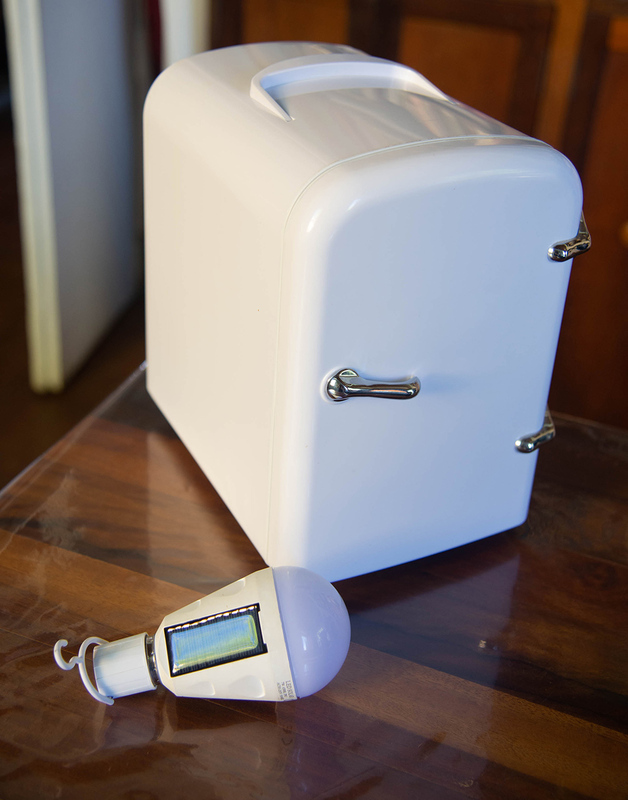 The team’s engineers designed small solar emergency systems that included two solar panels, one receptor, a charger outlet and one little fridge for medicine. The systems were life savers for ten homes in the rural areas of Adjuntas who had special medical needs like dialysis equipment, respiratory machines and medicines like insulin that needed to stay cold. Casa Pueblo’s third step was constructing fully solar homes in remote areas. The intent was to have a resilient rural community for the future. They built 40 solar homes and five solar-powered markets to support recovery of both the community and the economy. Arturo said the energy bills for many low-income families in Adjuntas went from $50 per month to only $10. So they can use the $40 savings for other expenses. Arturo said he’s hoping the people learn how to be independent and how to manage the system so they can feel proud that they are contributing to a clean environment. 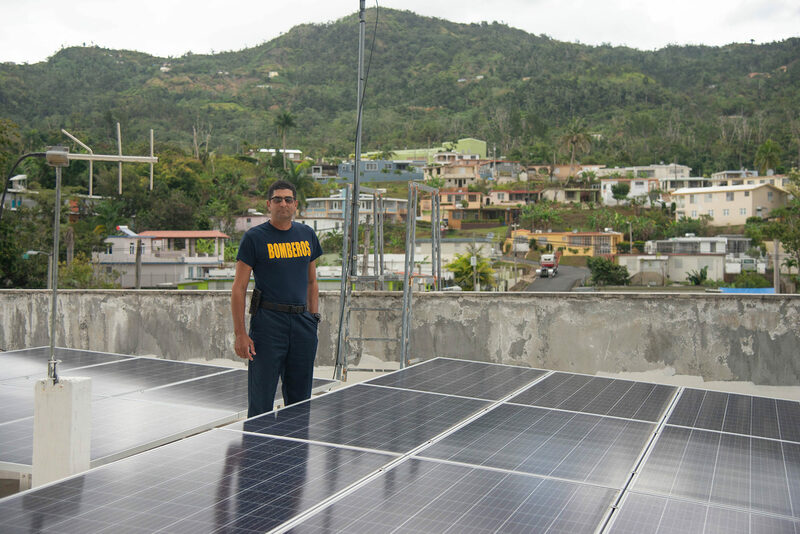 Another of Arturo’s goals is to spread the benefits of solar energy to the businesses of Adjuntas. He said the local barber shop, which received solar power from Casa Pueblo in 2018, was an important first step to engaging the community. “We did the barber shop, because we wanted the people and the business people to have the conversation about energy outside Casa Pueblo,” Arturo said. 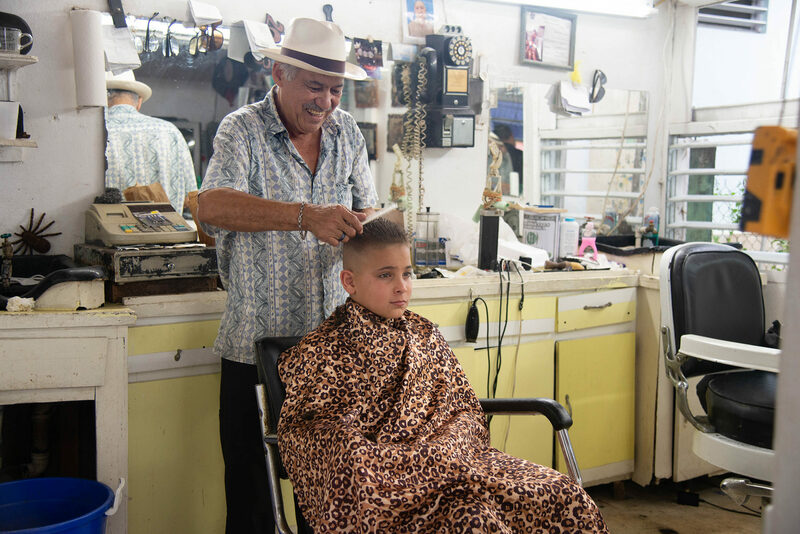 According to Arturo, the barber shop is a natural community gathering place, which makes it a perfect location for those conversations to occur. Arturo also said that the barber shop owner is very happy because his energy bill decreased from $75-80 per month to only $5 per month, saving $70 a month for a total of almost $1000 per year. 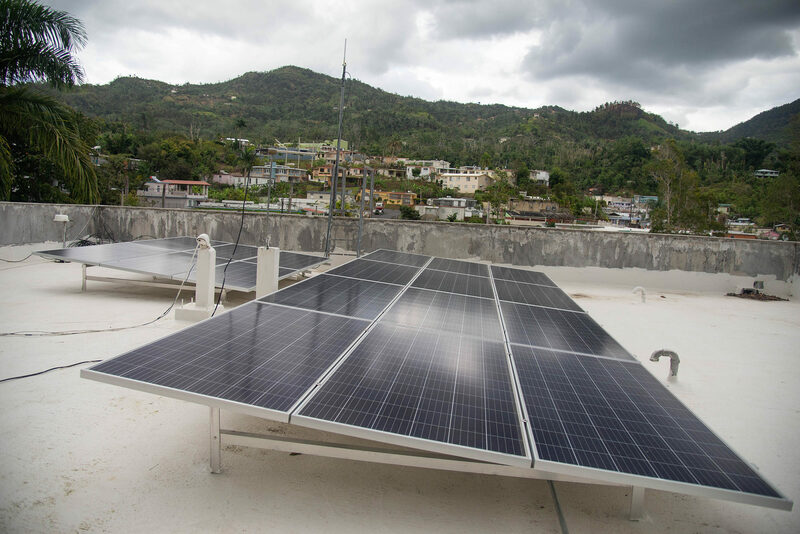 After seeing the demand for solar energy in Adjuntas rise, Arturo and his father organized formal solar workshops in Casa Pueblo’s solar cinema with electrical engineering faculty from the University of Puerto Rico. All four workshops were packed, with about 75 people filling the cinema each time. As a result of the workshops’ popularity, the Massols created an educational film for the solar cinema which will debut in April. It’s the story behind what Casa Pueblo has been doing, with Alexis explaining all the components of how solar power works. Casa Pueblo is constantly researching better energy alternatives. A committee of technical and science volunteers, including some university professors and solar energy entrepreneurs, do research. Working with the latest technology, they build small models and test them in the microgrid before building on a bigger scale. 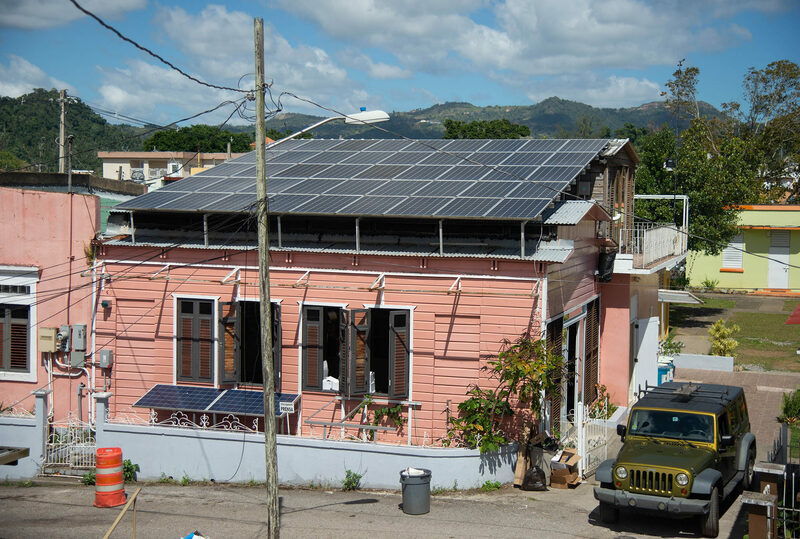 A report from the faculty of the engineering school at the University of Puerto Rico at Mayaguez said that if Puerto Ricans placed solar panels in 60% of existing roof surfaces on the island, they could produce 100% of their total energy demand at peak hours. 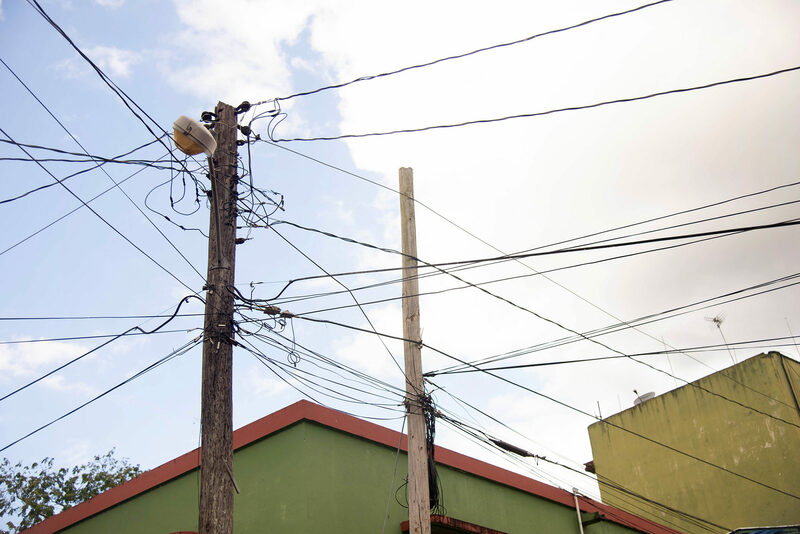 So the potential to generate all of Puerto Rico’s electrical needs is there, and energy storage capacities are being improved to better capture that energy for use later in the day or at night. “If they gasify Puerto Rico there’s a lot at stake here. 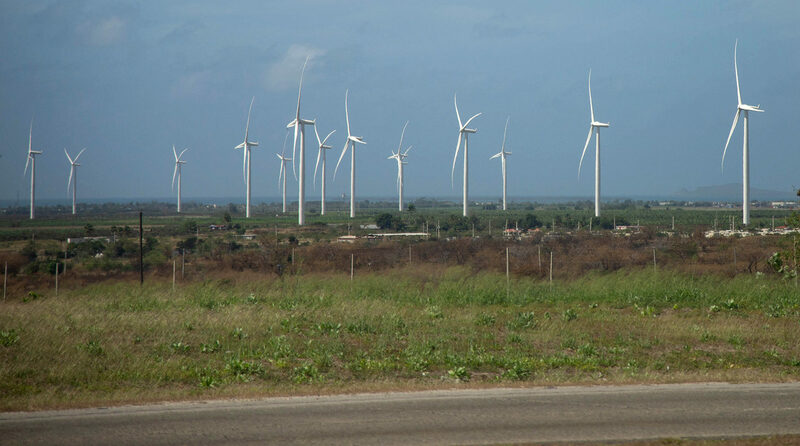 Because if they gasify Puerto Rico that means that the clean energy future will be postponed for 40-50 years, so we have to do it now,” Arturo said. Currently, 98% of the energy in Puerto Rico is generated by fossil fuels, even though the fuels must be imported to the island. According to Arturo, that’s 2.5 billion dollars just to pay for fossil fuels … on an island soaked in sunshine. “We’re in an economical crisis. We need to break that dependency. We need to activate our economy, and energy, perhaps, could be a means to address a multiplicity of issues,” Arturo said. Adopting solar energy could generate employment all over the island as engineers are needed to start the transition then do maintenance. The money that would have been used to pay for fossil fuels can stay in Puerto Rico’s economy to address other issues like low income housing. Solar microgrids like Casa Pueblo’s that don’t rely on transmission lines could also help make the island’s energy infrastructure more resilient when the next hurricane comes through. “We have done it at the community level. We’re doing it at the municipality, and hopefully Puerto Rico will find a way to also do it,” Arturo said.